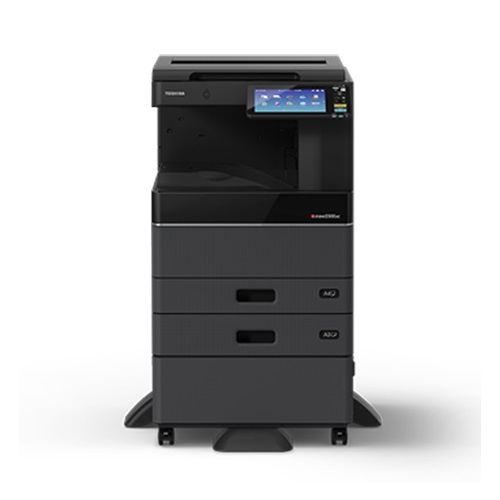 Toshiba e-Studio 2010AC Multifunction Color Laser Photocopier is built 600 x 600dpi printing resolution.You can use this photocopier in purpose , like - Print, Copy, Scan.this photocopier capable for Max. 67.2K (Month) duty cycle.The Indirect Electrostatic Photographic Method/OPC/Laser Printing/Heat Roller Fusing copy process is used in this photocopier with 4GB (RAM), 320GB (Hard disk) memory.In this Multifunction Laser photocopier,First Page Copy Speed is 7.1sec (B), 9.5sec (C), Copy Speed is 20ppm, scan speed is 73ipm (B & W) and 73ipm (Color),print speed is 20ppm, approx. 3 seconds per page transmission speed and Up to 33.6 Kbps fax fodem speed. 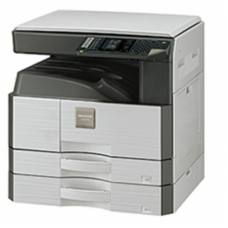 This multifunctional photocopier has 600dpi scan resolution with 10.1" Color WVGA Touch Screen Tilting Display with Warm-Up Time is approx. 21 seconds. Toshiba e-Studio Photocopier is built in USB, LAN with 350 sheets standard and 2900 sheets input paper capacity. In this photocopier inner finisher and saddle stitch finisher is used as finishing option. 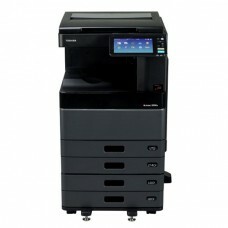 This Color Laser Photocopier provides 01 year of warranty.